Is It Really Legal To Sell Airline Tickets On Opaque Booking Sites? TRO is proud to introduce a new column this week: “Ex Bona Fida”. This monthly column will feature lawyers and accounting professionals providing valuable insight into the legal and tax world of the travel industry. 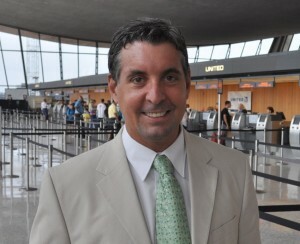 Our first column is by Daniel Zim, an attorney specializing in travel law who has worked with such agencies as American Society of Travel Agents, Inc. (ASTA), Airlines Reporting Corp. (ARC), the U.S. Department of Transportation and state seller of travel programs. Most law-abiding travel agencies do their best to comply with Department of Transportation (DOT) regulations. Some do not, risking prosecution and hefty fines. Still, others find the right buttons to push and the right people to speak with. One very familiar company with a unique business model may have done just that, receiving what appears to be a waiver of literal compliance with two DOT rules – the code-share and baggage fee disclosure rules. For years, Priceline has dominated the opaque online travel space, selling airline tickets while withholding from the consumer the name of the carrier, including the schedule and applicable baggage fees until after the consumer makes a nonrefundable purchase. Yet, it is confounding that Priceline is even able to offer these services legally and intuition tells me that Priceline must have obtained informal permission from DOT for its opaque booking practices. Under the code-share rule, a “ticket agent, air carrier, foreign air carrier, or other person offering to sell tickets for air transportation on a flight of an air carrier” is required to disclose “whether verbally in oral communication or in writing in written or electronic communication, prior to the purchase of a ticket – the name of the air carrier providing the air transportation; and if the flight has more than one segment, the name of each air carrier providing the air transportation for each such flight segment.” 49 U.S.C. 41712(c). This pre-purchase disclosure requirement applies for all airline ticket sales, whether or not a code-share partner is used. Failure to disclose the code-share and baggage information is considered an unfair or deceptive practice. Because Priceline withholds the name of the carrier until after the purchase is complete, the Name Your Own Price (NYOP) program appears to lack conformity with the DOT code-share rule. Although Priceline has a pop-up window on its bidding page disclosing that the consumer could be charged a baggage fee by the airline, it does not provide a hyperlink where the consumer can view those fees prior to purchase. Yet, disclosure of baggage fees prior to purchase is an implied requirement of the DOT regulation. There are no provisions in either rule that exempt online booking websites from compliance, and Priceline has never been subjected to a DOT enforcement action over its NYOP program. This remains one of the few unexplained mysteries in the travel industry. So, how is Priceline able to offer a service that, on its face, seems to contravene the express language of the DOT rules? DOT has never answered my email inquiry on this topic. So, the answer is probably only known by DOT and Priceline. But I can only speculate that Priceline did what it is most famous for: it likely sent the “Negotiator” to discuss the issue with the enforcement staff at DOT and received an informal “no action” response giving deference to the OTA’s unique business model. That is what must have transpired. Surely, DOT did not fail to recognize the big elephant in the room but, curiously, DOT never published a paper formally acknowledging a non-enforcement action against Priceline. The logic behind a non-enforcement action, if true, makes a lot of sense. The regulations are consumer protection measures. The code-share rule protects the public from purchasing a flight on an undisclosed operating carrier whose service standards may not be at the same level as the carrier whose code appears on the ticket they purchased. The baggage fee disclosure rule protects consumers from hidden ancillary fees applied for boarding a flight with a suitcase. But those rules don’t really matter in this case because users of NYOP roll the dice in search of the best deal possible. NYOP customers knowingly and willingly forfeit their right to select a preferred carrier, so consumer rights standards are, in no way, offended. Additionally, DOT regulators are probably not as concerned about keeping the chance-taking consumer apprised of the exact amount of baggage fees he will pay, as long as he is informed that he will be required to pay the fees. Lawyers call this concept “substantial compliance” with the law, meaning that a party complies with the essential requirements of a rule, thereby satisfying the rule’s purpose or objective even though formal requirements are not being complied with. And that is the logic that DOT has likely adopted with respect to Priceline. Notwithstanding, the prospect of reaching a tacit, under-the-table deal with regulators could be a bit unsettling for some business people because of the appearance of favoritism. Other market participants who might desire to begin selling airline tickets through an opaque online booking platform do not have an authorizing decision to rely on. Daniel Zim is an attorney with Zim Travel Law and has been practicing in the specialty of travel law since 2006. You can visit his practice online at zimtravellaw.com, email him at daniel@zimtravellaw.com, or give him a call at (571) 933-6621.